Anthony Perez was convicted in November 2017 of murder for the shooting death of Giovanni Galicia on November 30, 2013. ** In fact the victim’s car was a Chevy Impala. The conviction was based on the testimony of Cheyanne Patton, who was in the Lincoln Navigator with two other men who were charged. The defense argued that Patton was a liar who didn’t like Perez, saying Patton was “the lookout” who was trying to protect her boyfriend, Ricardo A. Garcia, one of the three men charged in the shooting. Patton was given immunity for her testimony. Thus the conviction was based on the testimony of a witness involved in the shooting, who had a powerful motive to lie, and the accusation was contradicted by the testimony of people in the victim’s car. Deontae Fulton was convicted of first-degree murder for shooting Juan Reyes in June 2013, based on the testimony of his cousin, Atarius Bishop. The defense argued it was Bishop that shot the victim not Fulton, after Morisha McCoy jilted first Bishop, then Fulton for Reyes, who she had dated before. Another witness testified that she had overheard Bishop admit to having shot and killed Reyes. Stacy Ramsey and Deion Harris were wrongly convicted of felony murder, and sentenced to life without parole, on the word of the murderer, Walter Smothers, who had the strongest possible motive to lie – the threat of execution. The murder took place on July 29, 1993. Smothers gave seven different versions of events, adding details to support the charges against Stacy and Deion, who were unwilling participants in the hijack of a truck, and the eventual murder of the driver, Dennis Brooks. On October 5, 1997, the body of a woman was found in the burned remnants of her home in the Town of Veteran, Chemung County, her husband was out of town. In late 1999, Timothy Burchard called 911, to report that Eric Weiskopff had shot a man in the head. Weiskopff then accused Timothy of the 1997 murder, but DNA tests showed that Weiskopff had raped the victim, and excluded Timothy. Weiskopff claimed that Timothy had obtained the key days earlier from the victims car, parked outside her home, however the evidence shows this to be a lie – see the Retrial Affidavit points 8 to 17. Weiskopff when questioned told police that Jeremy Onsager was the getaway driver. Onsager was given complete immunity from prosecution for testifying that Timothy took part in the crime. When initially questioned, Onsager did not mention Timothy, only implicating him much later after detectives brought up his name. There was no reliable evidence linking Timothy to the crime, or even placing him with Weiskopff or Onsager who was the driver, or even any truthful account of how he met up with Weiskopff or Onsager prior to the crime. Instead, Weiskopff and Onsager told conflicting stories which are clearly untrue. 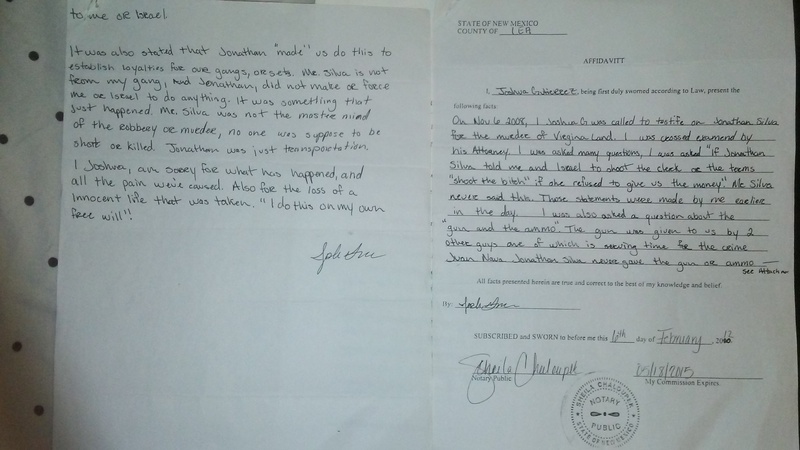 Jailhouse informants also told stories that were clearly fabricated, as they incorporated the untrue claim that Timothy had the key days earlier. The prosecution, over sustained objections, repeatedly brought up that Weiskopff failed polygraph tests, apparently in an attempt to convince the jury that his final version of events was the truth. However Weiskopff’s final version of events was false and incredible. The only credible witness, Timothy’s ex-girlfriend, who had no detailed knowledge of the murder, and who previously had no suspicion that Timothy committed the murder, was apparently “turned” by detectives lying to her, and testified against Timothy. The defense were denied information about how she was turned against Timothy, and a wire-tapped conversation she had with him was withheld. See this Memo. In summary : there is a complete absence of credible evidence showing that Timothy committed the murder, and those with knowledge told conflicting untrue stories about his involvement, and could give no account of how they met with him – inexplicable if he was really there. The only rational conclusion is that Timothy played no part in the murder and is innocent. In 2011, Kyle was arrested for failure to appear on trafiic citations, small traffic infractions. The same night, two African-American’s, a man and a woman, were arrested for a heinous crime. One week later, Kyle was charged with the heinous crime. He had got a lift with the two people. The police were looking for two African-American men, and one Africa-American woman. Kyle is Caucasian . Instead of turning in the guilty man’s brother, the two in custody named Kyle. They asked the victim several times what the intruders looked like. She always stated it was three African-Americans, two male, one female. After hounding the victim, one week later they showed her a photo of Kyle. Could he be the third? No, she stated. Several times she stated no. Finally after more coercion, she said “maybe”. They offered Kyle a 12 year plea-deal to testify against the two in custody. Kyle stated he could not do that, he was not there. He asked for a jury trial, knowing he was innocent. The public defender said it was an easy case to defend, and failed to object properly during the trial. The State asked Kyle for a DNA sample, which he gave. However the State never tested the Kyle’s DNA against the evidence they had. However in court, the State claimed a match. The two guilty parties testified against Kyle to obtain lesser sentences. The woman got seven years. Kyle was convicted, and has now filed a motion to test the evidence against his DNA. The State had 60 days to respond, after 80 days they had not responded. Kyle has been sentenced to life in prison with no possibility of parole. The family are trying to obtain a lawyer to help Kyle.